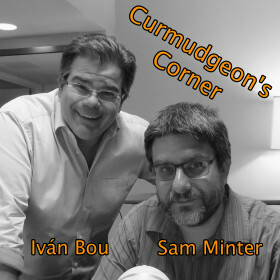 This week on Curmudgeon’s Corner, Ivan and Sam are all over the place. Topics include scandals in the Catholic Church, racists being unleashed by Trump, a new patron, some movies Sam watched, a look back at the financial crisis 10 years later, Ivan’s new computer, an update on the kids separated at the border, and lots more! This week on Curmudgeon’s Corner, Sam and Ivan talk about Trump breaking the Romney barrier, the Trump Foundation, Clinton’s basket of deplorables comment, Clinton’s health issues, and the unhelpful way she responds to things. So they pretty much have the Election 2016 developments covered. In the last segment of the show they spend some time going over the new features in Apple’s iOS 10 update. So some tech too this week! Trump breaks the Romney barrier! What if people stay home? There is a lot happening on this week’s Curmudgeon’s Corner podcast with Sam and Ivan. There is the usual discussion of the presidential race, but there is also coverage of the new Apple announcements, a lightning round with all sorts of things, and the first full discussion of our new Patreon! A very big show this week with something for everyone! Including a special appearance by Ivan’s wife Juana!